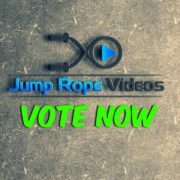 Poll: What are your favorite Jump Rope events? I want to know which jump rope events are your absolute favorites. You can answer as an athlete, coach, judge, parent, or spectator. All view points are valid. Pick your top 3 favorite events. I’m of the personal opinion that we have too many events and our tournaments are too long. I think we could “trim the fat” a little in order to make an overall better product. I would like to see more streamlined tournaments that focus on just the events we care about most. To that end, I’d like to get other people’s opinions on which events are most important to them. This is by no means official or scientific. I just want to start the conversation. If you think I’m missing an event that should be on this list, feel free to Contact me and let me know. http://jumpropevideos.com/wp-content/uploads/2016/08/IMG_20160621_183348_1470682968058.jpg 750 750 Chris Holmes http://jumpropevideos.com/wp-content/uploads/2016/06/JumpRopeVideos-300x145.jpg Chris Holmes2016-08-08 11:55:442016-08-08 15:43:39Poll: What are your favorite Jump Rope events?